A little thing about my family? We love our alcoholic beverages – not saying we’re a bunch of alchys but we love a good tasting drink. We travel for wine and beer tastings and try to recreate restaurant favorites. While I much prefer the beer and wine flavors, a nice cocktail repertoire is convenient to have for an after-work drink or to mix up on a lazy Sunday evening. This drink. 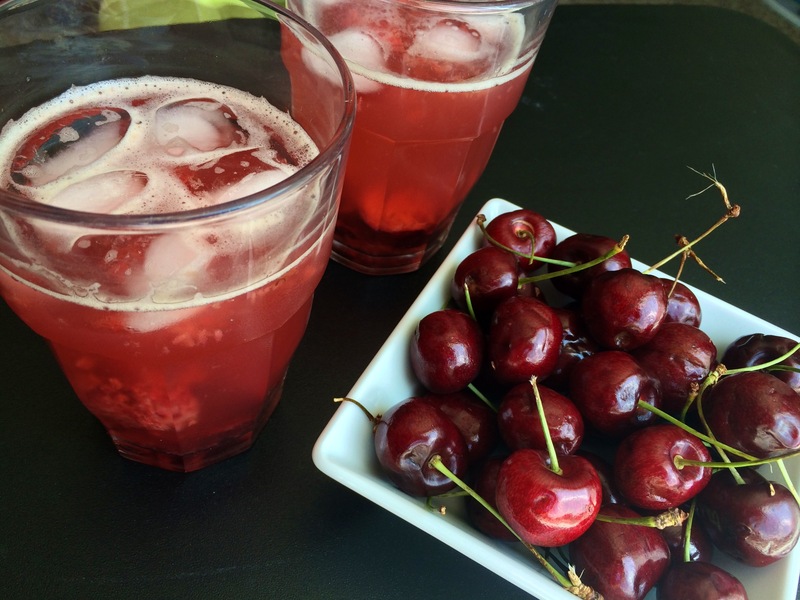 I found this little gem on Pinterest after I searched for cocktails using cherries (because making an alcoholic beverage with my leftover fruit seems to work rather well.) 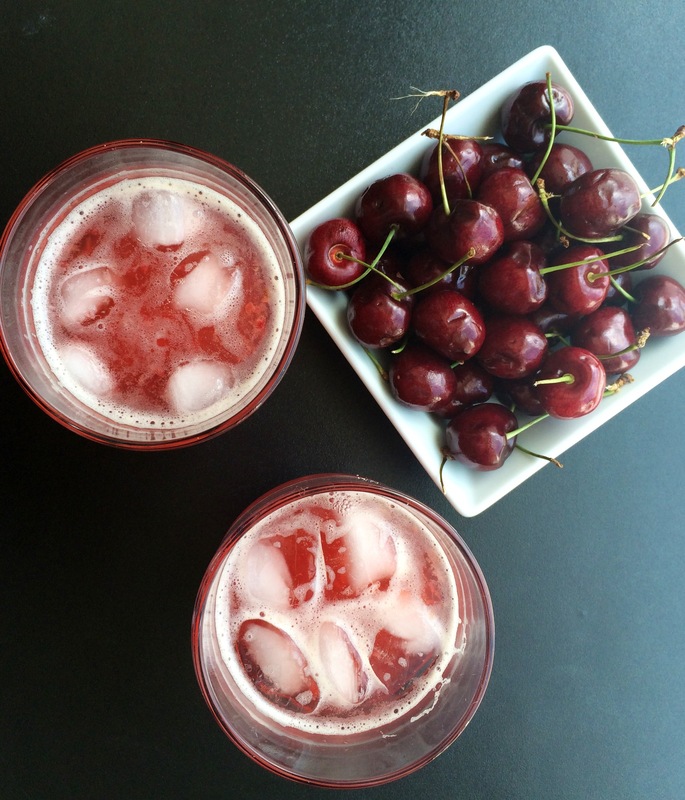 Roasted cherries sounded divine to me and when it comes to liquor, chances are I’m going to choose either a vodka or bourbon base – so this was a winner. Preheat the oven to 400 degrees. Place pitted cherries onto a baking sheet and roast for 10 minutes. Allow to cool. Once cherries are cooled, divide them among two glasses and smash (or muddle) with cinnamon, lemon, and sugar until a pulp forms. Add ice. Top each with 2oz of bourbon and chilled seltzer water. Serve. Our rating**? Probably a solid 3. Mr. LL absolutely hated the cherry pulp; looked me straight in the eye and asked me to never do that to him again. He rated it a 2.5 with the cherries and a 4 when I strained his drink. He also wished there was more of a cherry flavor – because of the 2 tablespoons of lemon juice, it has a very distinct lemon flavor. I agree with him on that and rated it a 3 because of the flavor. *I am posting this via my IPhone and didn’t have a photo from the original blog, but do go there because her photos are absolutely drool-worthy. **We’ve decided to start rating everything we try on a scale of 1-5 because we aren’t actually creating the recipes ourselves, just trying everything. We figured a good rating scale would let you know which posts are a must-try and which you should just pass on.